Full of energy and constant motion, FELA! The Concert radiates joy. 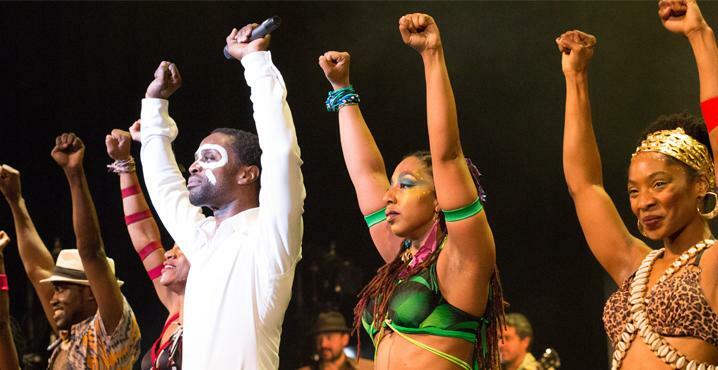 Don't miss this celebration of Afrobeat founding father and charismatic fighter of human rights Fela Kuti, featuring a 10-piece Afrobeat band with members of Antibalas, and original cast members from the Tony-winning Broadway Show! The sensual, eclectic sounds and powerful lyrics of Fela Kuti prove why he became one of the world's most celebrated and rebellious music legends. Set against a soaring canvas of projected images, FELA! The Concert is driven by the electrifying rhythms of an onstage Afrobeat band, with with nine singers and dancers who bring to life Fela's provocative spirit.